The great thing about The Doctor from Doctor Who being a super old alien who goes on a different adventure every week is that it’s easy to accept that there are countless adventures that we, the audience, simply weren’t there fore. Few Doctors know that better than the Fourth Doctor, who was one of the most beloved regenerations of the show’s original run and has therefore been a regular in the expanded Doctor Who universe of books, comics, and radio dramas. 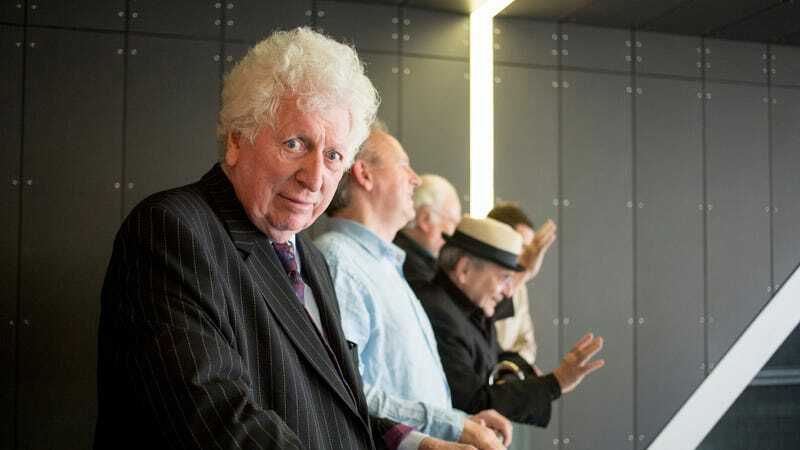 In fact, just this weekend, Radio Times announced that the Fourth Doctor will be returning once again in a brand new Doctor Who novel written by the Fourth Doctor himself—or at least Tom Baker the human actor who played him. The book is called Scratchman, and it was originally conceived as a Doctor Who movie by Baker and his co-star Ian Marter in the ‘70s. The official synopsis says that the book is about the Fourth Doctor and a few of his companions battling evil scarecrows on a remote Scottish island, with the scarecrows being led by an inter-dimensional villain that claims to be the Devil. According to our friends at io9, that villain is actually the actual Devil, and defeating him requires the Doctor to get a high score in a giant pinball game. That’s based on the plan for the movie, so it’s possible that things have changed, but we have no idea why anyone would want to change a brilliant idea like that in any way. Now, if ol’ Beelzebub does show up, the fact that this is a Fourth Doctor story means Baker won’t have to address the fact that one of his future incarnations also faced a monster that was apparently the actual Devil. Maybe a future Doctor Who novel will find a way to streamline all of these Satans. Scratchman will be available on January 24.